HUBweek is featuring a panel discussion (Immigrant Entrepreneurs from Main Street to the Fort Point) on October 10th at 3pm, City Hall Plaza, that organizers believe is the kind the nation needs to have. It is about whether we should open the door wider to immigrant entrepreneurs. Many have forgotten — or maybe just don’t understand – how critical they are to the economic health of the U.S. In the Boston area, immigrants start and run businesses of every type and scale, from small shops in Main Street to high-growth tech companies. They account for about 30% of each type. These businesses have often been the seeds of economic revitalization, infusing vitality into many neighborhoods such as Allston Village and East Boston. 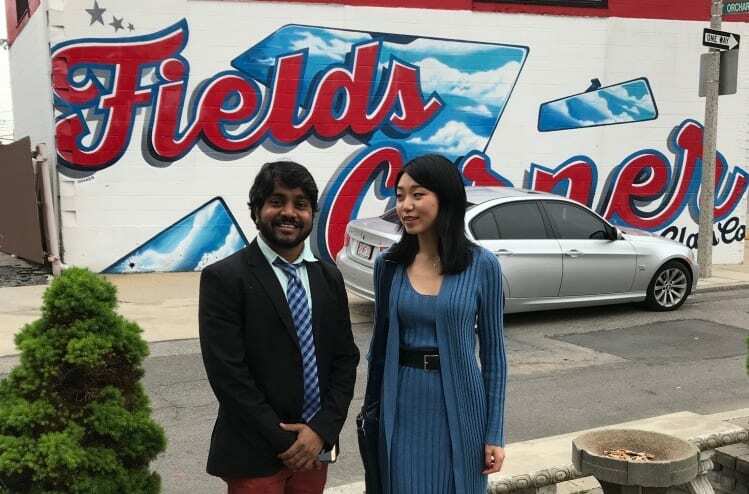 In Fields Corner, the string of a dozen or so Vietnamese restaurants has made it a popular destination. One of them is Pho Le, opened by Duyan Le who went to UMass Boston, studied computer science, but always planned to get into the restaurant business. After he finished school, he borrowed money from friends and bought a tiny restaurant to get his start. He sold that to a friend. Today, Le and his family run three restaurants. In other neighborhoods, such as Fenway, Seaport, Downtown Crossing, Financial District and Fort Point, the influx of hundreds of tech companies has seemingly overnight made Boston the state’s tech startup capital, creating thousands of jobs for residents. Some good examples are Flywire, a 300 person international payments processor. It was founded by MIT graduate Iker Marcaide (Spain) and set up on Devonshire Street in the Financial District. It then moved to larger quarters on Tremont Street in Downtown Crossing. Flywire is connecting payers and clients on six continents. It has raised $143.2M in venture capital. Custom microbe designer Ginkgo Bioworks houses its 200 employees on Drydock Avenue in the Seaport. One of the co-founders (Barry Canton, Ireland) graduated from MIT. Ginkgo is one of three Massachusetts-based life-sciences companies with valuations of more than $1 B. We estimate that there are over 1,000 promising entrepreneurs like Duyan, Iker and Barry in Massachusetts, currently studying at our universities, who want to remain in the U.S. after graduation to launch a company. But a federal quota severely limits the number of work visas available. As a result, most will be forced to take their ideas to their home countries where some governments most notably China (the leading place of origin of the international students in Massachusetts) have established funds to help them bring their innovations to market. Our broken immigration system is costing American jobs and dragging on our growth potential. But Massachusetts is leading the way and showing the country that our doors are open to the world’s job creators. Both Governors Patrick and Baker support a pilot program called Global EIR at UMass Boston’s Venture Development Center (universities are exempt from the work visa quota) where work visas were facilitated for 50 entrepreneurs from different universities, not just UMass. In just 3 years, the entrepreneurs’ 50 companies have added 479 employees, and have raised $238M in venture capital. It would be a bold act if all of our universities facilitated work visas for the entrepreneurs they graduate, to be sure. But it might promote immigration reform. Why? Because the rest of America would have seen that good, not bad, came from opening the door to the world’s entrepreneurial talent. Join the HUBweek discussion on October 10th. Register here. It’s the immigration debate we need.